Hey y’all. No urge to write, don’t know why because even when United loses I write. 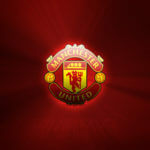 Its United up against Blackburn and if Man Utd avoids defeat they win their 19th league title. This will infuriate Liverpool fans but then again wetin concern us? When Liverpool won their 18th title in 1990, United had just 7, Shame on you Scouses, Man Utd rules. 12 premier league in 20 seasons, is Man Utd the only side in the EPL? Well I still have respect for them at least they have got more Champions league trophies than the Red Devils have (some dey wey never win am before sha). The curtains are about to be drawn on a wonderful season, damn another boring summer looms. Will switch to tennis or maybe the movies. Back to the game. Blackburn are a relatively stubborn side and I am sure they are ready to put aside the 7-1 drubbing they received from Fergie’s boys back in November with Berbatov scoring 5 of the goals. It’s an away tie for United and they have not been fantastic away from home with just 5 victories, 4 losses and 9 draws till date. Many thought our away form would be a barrier to winning the title and some of my friends said stuff like ‘ United has got more draws than okra ‘. God pass una. I was expecting a tough game anyway because Blackburn are close to the dreaded relegation zone but a point shouldn’t be difficult to get for Man Utd. 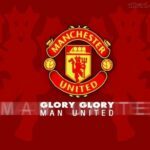 We are Manchester United we always step up whenever we have to. I was expecting the same side that beat Schalke 4-1 in Old Trafford but seems Sir Alex wasn’t ready to take chances. He wants to wrap this up once and for all. Van Der Saar was rested though with Tomas Kuszczak deputising. Rio, Vidic, Evans, Fabio, Carrick, Giggs, Valencia, Nani, Rooney and Chicharito made up the starting XI. Understandably Valencia had to play because to get a winner’s medal you must have played at least 10 league games (He missed most part of the season with injury). Blackburn fielded their best possible side with only Mame Diouf missing out (ineligible because he is a Man Utd loanee). The 1st half started as I would have expected. United dominating possession and coming close via a Nani header. It hit the bar. United kept putting pressure on the Blackburn defence but with little loss of concentration and Blackburn got a goal in some sort of controversial manner (The ball had crossed the line before Martin Olsson crossed for the build up to Emerton’s goal). Game on and United kept pressing only that Blackburn were also playing brilliantly too. I must say Kuszczak was erratic. I am sure he doesn’t care what happens on the day because he would be leaving at the end of the season. Blackburn played better than I expected and they held on to the 1-0 lead till the end of the 1st half. The 2nd half started with Blackburn taking full control of the game. They hit the bar, had chances that could have killed the game for United but they didn’t take them. Blackburn brought on a player I have much respect for (Pedersen). Wonder what he was doing on the bench. I got a bit nervous seeing him because he has got power in his left leg. He could score a goal that would be awarded thrice (technique and accuracy would be a plus). Sir Alex took Fabio off and brought on Paul Scholes. I saw that as a dangerous move but then again who is to question the Gaffer? United got back into the game and were awarded some sort of a controversial penalty when Robinson appeared to have fouled Chicharito who seemed to be going wide off the goal in my own view (but karma is a b***h). 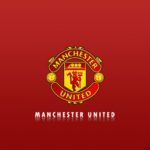 Rooney took the resultant spot kick and scored his 11th league goal of the season taking United closer to their record breaking 19th league title. Ironically a Liverpool born player scores the goal that takes United above Liverpool in terms of league titles. The game ended 1-1 and it was just enough for United to pop champagne in celebration. It was an awesome moment seeing the lads and the manager jumping and dancing on the pitch. Jack Daniels and coke was flowing at my end too, with a couple of my friends joining my little party. It was a proud moment to be Manchester United fan and I must say Sir Alex Ferguson is the number one football manager in the world. Man of the match for me was Phil Jones of Blackburn. He was awesome in defence but Martin Olsson and Jermaine Jones also played well for the home side. Rooney had a good game for United likewise Vidic, Giggs and Carrick. Tomas Kuszczak should be let off on a free transfer. I was totally disgusted at his performance. We are Champions. The best team in English history. Next up is Barcelona in Wembley and I know the lads can do it. Stand up for the CHAMPIONS. Stand up for the true Manchester side.